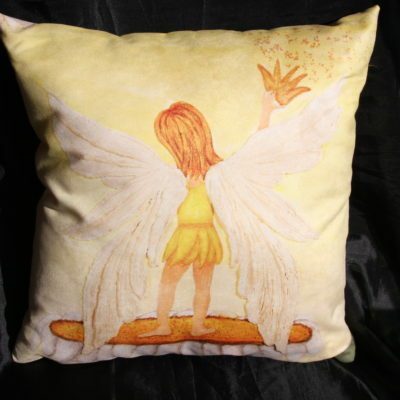 This super soft faux suede angel cushion can be used as a cushion or pillow, and is printed on one side with an image taken from one of my original paintings. 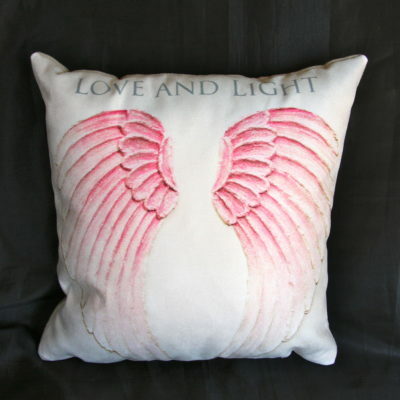 Unique images add that personal touch to your bed or therapy room. 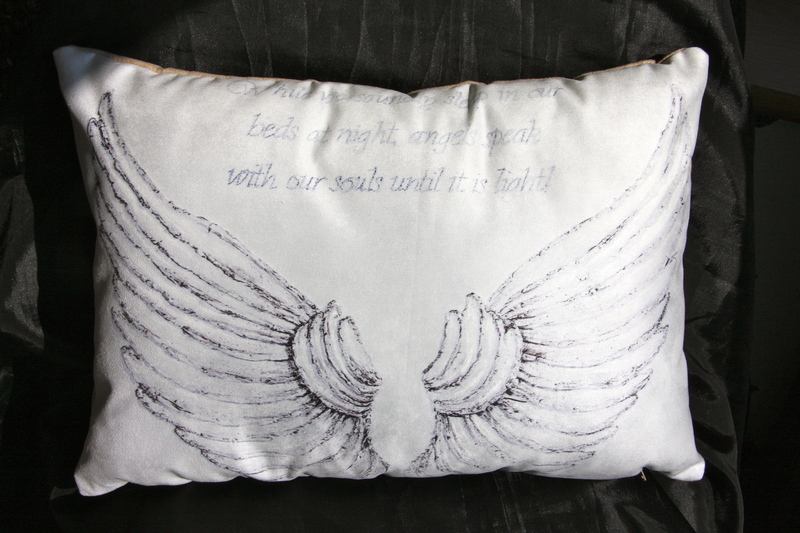 Most designs are available in small square, large square and large oblong angel pillow. 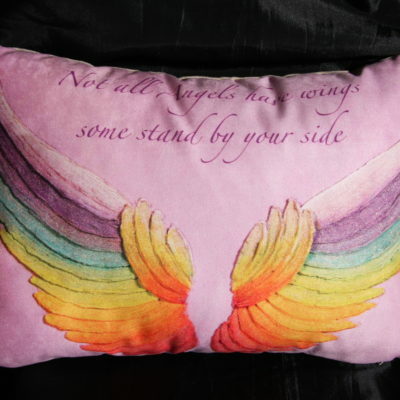 Filling 100% Polyester. Allergy friendly.